Josh fell in love with Kathy on the first day of sixth grade in Valley Head, Alabama. Eleven years later they graduated from high school, Josh received his draft notice, and they were married. Eighteen years later, Josh was winding up his Army career. Bobby, their only child was about to graduate from high school, and Kathy died unexpectedly - no accident - no long sickness - she was just gone. Bobby tried out for the football team and thanks to the skills he had acquired in long practice sessions with Josh, made it as a wide receiver. The Grizzlies coach, Brent Jenkins, had seen Josh working out with Bobby and asked if he would work with the team's punter, explaining that their field goal kicker had just dropped out of school for personal reasons. ˃˃˃ A 44 year-old college football quarterback! Are you kidding me? Samuelson's three-year injury-free streak ended in the third quarter of the Grizzlies first game. Seconds after the starter went down with a broken collarbone, Josh found himself, at age 44, the quarterback of a college football team. "This story is riveting from the beginning to the end. My husband was in the pre-Vietnam era, before it became an official war. Many of the boys he taught as an Air Force instructor went into that war. I've recommended this book to him as he has friends who were called up and who never talk about what happened there. The writing is superb. I felt like I was on the sidelines of the football field, in the cockpit of the Bluebird or on the steps during the Vietnam Conversations. An excellent, excellent book." "Underlying the actual narrative is the unresolved issue of the Vietnam War, which comes across to a foreigner like me as an issue closed away and unexamined by most folk who were not there. In the book, the lead character, Josh Edwards, sets out to open the door and reconcile the feelings of veterans to their experiences. At the same time he enlightens those who would seek to know but have found themselves locked out by their loved ones and also by the social climate of denial. There are many words written about Post Traumatic Stress Disorder. In Fourth and Forever, the author gives you a layman's guide in a couple of paragraphs using the psychology of Sport. Personally I found this profoundly educational. The style of the prose is clear and unadorned. This is an unashamedly Feel Good book about success and winning by virtue of personal effort. We all know that our lives offer no such guarantee. 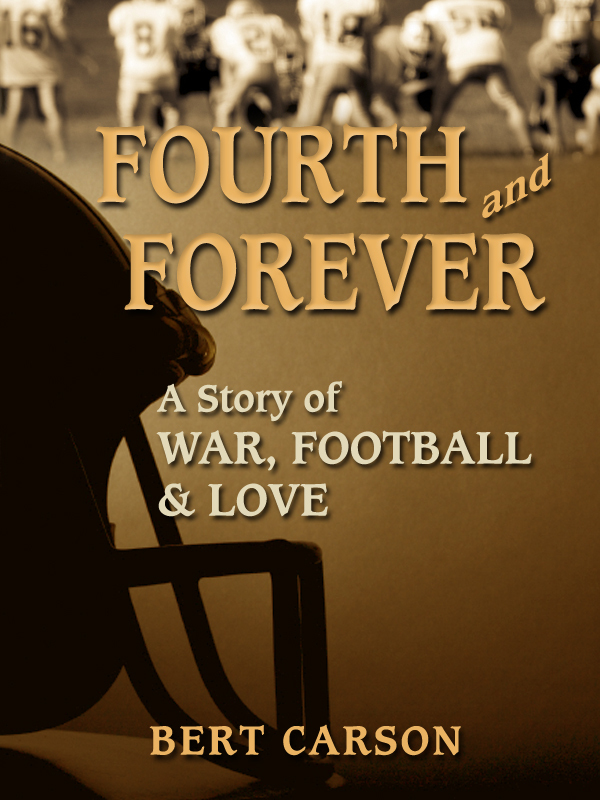 In these times of jangling dissent, isolation and uncertainty, Fourth and Forever puts a team around you. I would read this writer again."